BLUSH, CORNELIUS’ mascot, is very worried and depressed and, by way of telepathy, he tells CORNELIUS that he must go back home to his planet as he feels his mother and father are in a trouble. 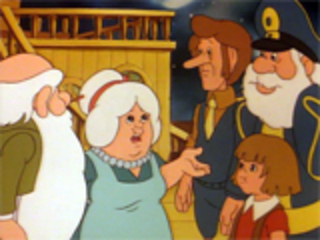 After convincing BOB WOUTER to change the course of the BOBULAR, they go to BLUSH’s planet to find out that his parents have been captured by the BRULIES. BOB WOUTER teaches the BRULIES a lesson while CORNELIUS, together with BLUSH and POPSY (BLUSH’s girl-friend) rescue BLUSH’s parents.